–Kadyr Karkabatovich, in the history of Independent Kazakhstan you became the first Minister of Energy and Fuel Resources. In your opinion, why were you chosen during the formation of the Government? 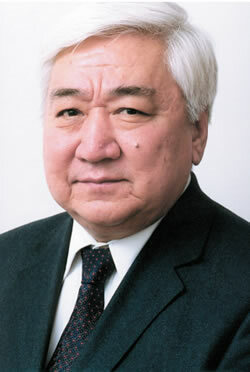 – It is difficult for me to explain why the head of state, deciding on the candidate for the post of the Minister, chose me, but if you follow the logic, I think that my previous work in the Government, which began in 1987 as the Deputy Chairman of the Council of Ministers of the Kazakh SSR, worked in my favor. In the distribution of responsibilities among the Deputy Chairmen I was responsible for the work of the country's industry, including the oil and gas industry, Therefore, in my opinion, this appointment was quite logical. As you can see from my biography, in 1992 I was appointed the Deputy Prime Minister – the Minister of Energy and Fuel Resources. And in 1993, I became a "full" Minister. You probably remember that 1991 was the year when the collapse of the Soviet Union reached its peak. The President of the country Nursultan Nazarbayev and the Government of Kazakhstan understood that the process of economic disintegration is happening in the USSR, and in these conditions, when in the structure of the economy of the country enterprises of the Union subordination constituted a significant part, and the sectoral Union ministries practically ceased the management of these enterprises, the Government had a task, firstly, to preserve the activities of these enterprises, secondly, to create republic's structures of management of these enterprises. For this purpose, on August 31, 1991, the President issued a Decree "On the transition of state enterprises and organizations of the Union subordination under the control of the Government of the Kazakh SSR". Earlier, in March of 1991, I was again appointed the Deputy Prime Minister. According to the distribution of responsibilities in the Government, I was in charge of the country's industry, including enterprises of the sectors of the Union subordination, thus the implementation of the presidential decree, along with other members of the Government, was entrusted to me. We had to do a lot of work to create various industry concerns and national corporations, which included all the enterprises of the former Union subordination. About 140 enterprises of the industry of the Union subordination, which included practically all ferrous metallurgy, coal, defense, oil and gas, chemical, electric power, uranium sectors, mechanical engineering, pipeline transport, were united by us into sectoral corporations and concerns which entered into our system of public administration. We had to act with great pressure on the heads of enterprises of the Union subordination when creating the republic's sectoral governing bodies, because they have not yet thought about the fact that in the near future the "center" will leave them to fend for themselves. As for the oil and gas industry of Kazakhstan, it was managed by the Union Ministry during the USSR. 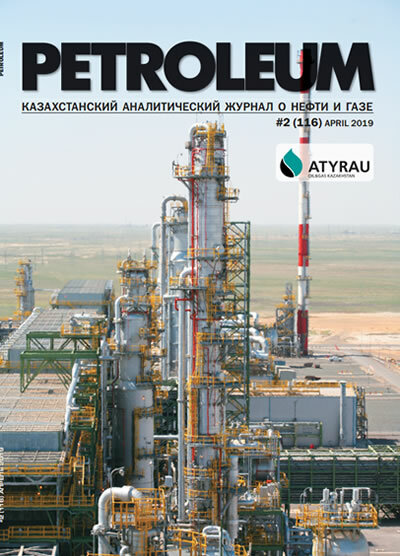 Production associations, which were engaged in production and transportation of oil and gas in Kazakhstan, reported directly to the Ministry of Oil and Gas Industry of the USSR, all sales of oil and gas, financing of oil and gas associations, was also carried out by the "center". After gaining independence, Kazakhstan had to build a new state structure for managing the country's economy, and it was created by the Decree of the President of Kazakhstan dated February 7, 1992, because the previously existing structure of the government did not meet the principles of functioning of an independent state. The structure of the existing Government did not include some sectoral ministries. That is why the Ministry of Energy and Fuel Resources was created, under the management of which the electric power, uranium, coal, oil and gas sectors of the economy were transferred, and which the President instructed me to head. –The first serious investor in the economy of Kazakhstan was the American Chevron, which became a partner in Tengizchevroil JV. I know that the negotiations with Chevron were held with your direct participation. Could you tell us more about this work? – On behalf of the President of the country N. Nazarbayev we have been working with Chevron over the creation of a joint venture to develop the Tengiz field. Work on this contract has been going on since 1987, and at the time negotiations were conducted by the Union Ministry. 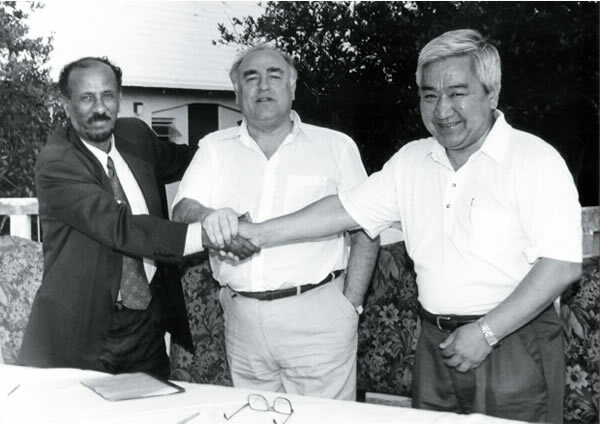 After the collapse of the USSR, Kazakhstan began to conduct these negotiations on its own, and they were completed in 1993, by signing a contract on the creation of Tengizchevroil LLP. The contract of the Government of Kazakhstan with Chevron for the development of the Tengiz field is called the "contract of the century". Tengiz is known to be one of the largest fields in the world, and it is very attractive in terms of its large recoverable hydrocarbon reserves. As it is known, the discoverers of this field were Kazakhstani geologists, and it was discovered in 1979. This field was developed by the Tengizneftegas Production Association, subordinate to the Union Ministry. Moscow financed the construction and attraction of the Russian and foreign contractors for design and construction of CTL production lines, as well as the drilling of wells. In 1991, the first oil from this field was sent through a pipeline to Samara. Basically, in 1993, by the date of signing the contract with Chevron, the field produced about 3 million tons of oil per year. After the collapse of the Soviet Union and the transfer of the field to the ownership of Kazakhstan, Chevron continued the negotiation process with the Government of independent Kazakhstan. Chevron was interested in obtaining a contract for this field, so it gave its guarantees to ensure mutual interests in this project by signing an Agreement on the principles of cooperation in the creation of a joint venture between Tengizneftegas PA and Chevron Corporation, in May of 1992. Practically, only because of Nursultan Nazarbayev, Chevron came to Kazakhstan, they believed in him. Our President already met with the leadership of the Corporation during the negotiations in Moscow and during his visit to the United States while the USSR still existed. Starting from 1989, Kalyk Abdullayev, then Deputy Prime Minister, and since 1991, I have led a working negotiating group to prepare the "contract of the century" for signing, in accordance with the provisions reflected in the above-mentioned Agreement on principles of cooperation. 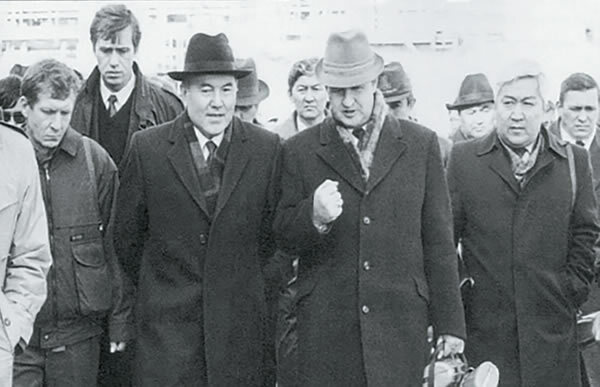 Even before the collapse of the USSR, in order to prepare an agreement on Tengiz, representatives of both sides carried out a large amount of financial, analytical and technical work on this field. That is why Kazakhstan chose not look for another investor, but continued to work with Chevron, but already offered its terms, which were indicated in the Agreement on the principles of cooperation.